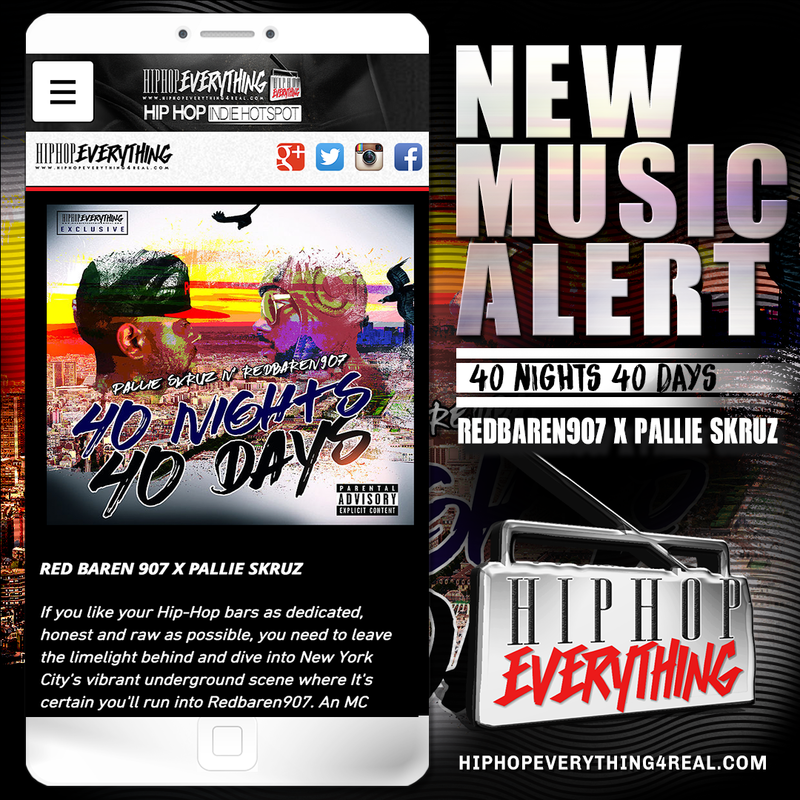 POPULAR KIDZ PROMO: [#HHE New Music Alert] Pallie Cruz & RedBaron907 "40 Nights, 40 Days"
[#HHE New Music Alert] Pallie Cruz & RedBaron907 "40 Nights, 40 Days"
If you like your Hip-Hop bars as dedicated, honest and raw as possible, you need to leave the limelight behind and dive into New York City’s vibrant underground scene where It's certain you'll run into Redbaren907. An MC who has been flooding the music scene with new album releases and features back to back. Just when you thought he'd run out of witty wordplay and metaphors he hits you “40Nights 40 Dayz”, with Pallie Skruz, a New Jersey native bringing passion & tenacity behind his lyrics with a raw authentic street sound. Now Playing on HHE Radio "We Banging Out Tomorrow's Hits"